It is that time of year again when we get to gather around with family and feast. If you are trying to lose weight, this day can be stressful as you are surrounded by tons of temptation. Although it is only one day, we all know that sometimes it only takes a day of being off track to sabotage everything we worked for. Sometimes it can be difficult to get back on track the next day. Thanksgiving should be a day you enjoy with your family, instead of stressing about what you are going to eat. It is a day where you should focus on the things you are grateful for. To help you get through the day so you can really focus on what is important, here are 10 tips keep you on track while enjoying Thanksgiving. Don’t Wait for the Big Meal! We all do the same thing; we wait for Thanksgiving dinner to dig in and eat as much as we can. We skip breakfast and the snacks we would have had on any other day. Instead, eat breakfast, and depending on what time Thanksgiving dinner is, don’t skip lunch either. When you wait until the big meal, you are more likely to overeat and reach for the foods that you shouldn’t out of hunger. Eating throughout the day, as you would normally, will help you control your portions later on. There will be a lot of delicious foods for you to eat, and you don’t have to avoid everything. Just be mindful of the choices you make and limit your portions. 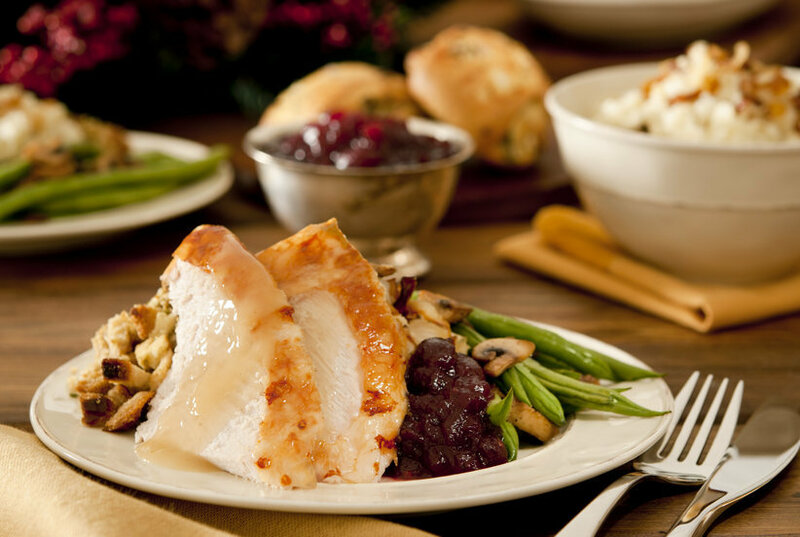 It can be easy to overeat on Thanksgiving – in fact, it is often expected. Being aware of this can make limiting your portions easier. You can also try using a smaller plate, which will limit the amount of food that you are able to take. And, if you are going to go back for more, be sure to wait 20 minutes before going back for seconds and to be extra picky about what you put on your plate. If you are the one preparing food, then this step is easy. You can easily make healthier versions of everyone’s favorite Thanksgiving dishes, or at least add in some healthier dishes to choose from. If you are going to someone else’s house and having someone else prepare the food, offer to bring a dish. Your host will surely enjoy your effort to help out and contribute. When you prepare your dish, make something that is healthy, so you have more options to choose from. As you should already be doing you, need to avoid anything processed and stick to whole foods. By sticking to whole foods you are not only eating healthy, but you will feel fuller faster and longer. Whole foods are more nutritionally dense compared to processed foods which are full of empty calories. There is also typically fewer calories in whole food when compared to processed foods of the same portion size. If you are making the food, or have offered to bring a dish, try opting to make some cauliflower mash instead of mashed potatoes. This is a delicious alternative to the potato side dish we all expect to see on the table. And, whether you go with the cauliflower mash, or end up eating mashed potatoes, skip the cheese. We all like to load our potatoes with toppings, but be careful of how many additional calories you add. One of the most tempting dishes during Thanksgiving are the rolls, but you are better off just passing them buy and replacing it with another, healthier side dish. We often don’t think of the calories that are in what we drink, and this can end up adding hundreds of calories that we don’t account for. Your best bet is to stick to water and drink plenty of it throughout the day. Drinking lots of water will help you feel full throughout the day and help keep you from overeating. This will help you eat fewer calories and control your portion sizes. 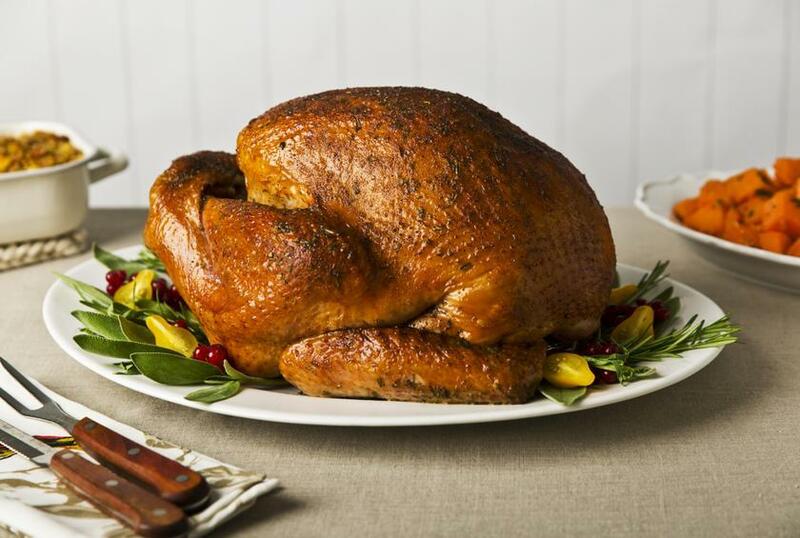 It wouldn’t be Thanksgiving without the turkey, and for most of us, this is our favorite part! The nutritional difference between white meat and dark meat may not seem like a lot, but when choosing between the two go with the white meat. The white meat has fewer calories and less fat content. It may only save you a few calories, but it is worth remembering when you are deciding between the two. And the skin? Skip it. Whether you have a workout routine or are just enjoying walking like I did when I started my journey, don’t skip it just because it is a holiday. Be sure to get your routine in so you can stay in your routine as much as you can and burn some additional calories. The exercise may count more today than any other time. The last thing you want to do is start making excuses for skipping your workout. Even though Thanksgiving is a holiday, it is still an excuse many people use to not workout. Once you allow yourself to make an excuse, you will continue to make them down the road. Life is short, and we only have a limited amount of time with those that we love. Paying attention to what you are eating is important, but be sure your main focus is on your loved ones and the things you are grateful for. I am so grateful for my community, and the many people that have allowed me to be part of their journey. I am inspired every day by the people I meet and the people who share their stories with me. Thank you for all the love and support that you give me every day. And be sure to let me know what you are thankful for this year in the comments below. I would love to hear from you!